Hi ladies, I hope you're all well! 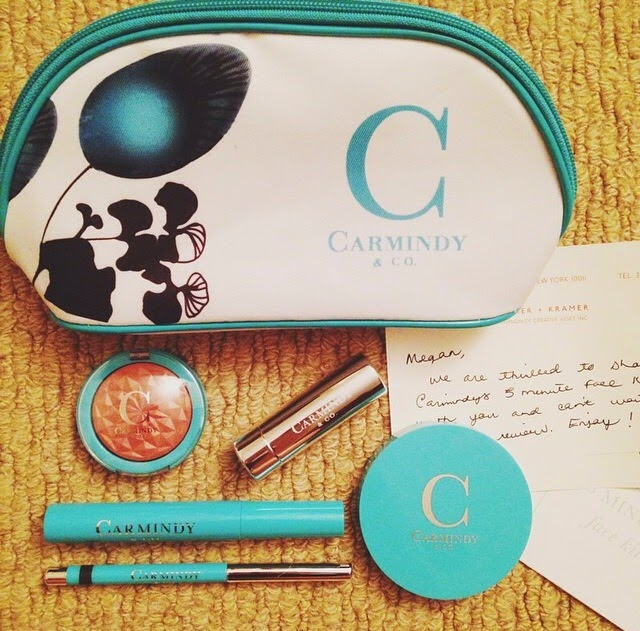 I was kindly gifted the 5-Minute Face Kit by the lovely ladies at Carmindy&Co to try and review on my blog. I want to say I haven't been given money to review the products, I have just been given the products to try and share my honest opinion with you all - and that is exactly what I am going to do! This brand is well worth the money. I know us girls are always hesitant to invest in expensive makeup products because sometimes they're not always for us. 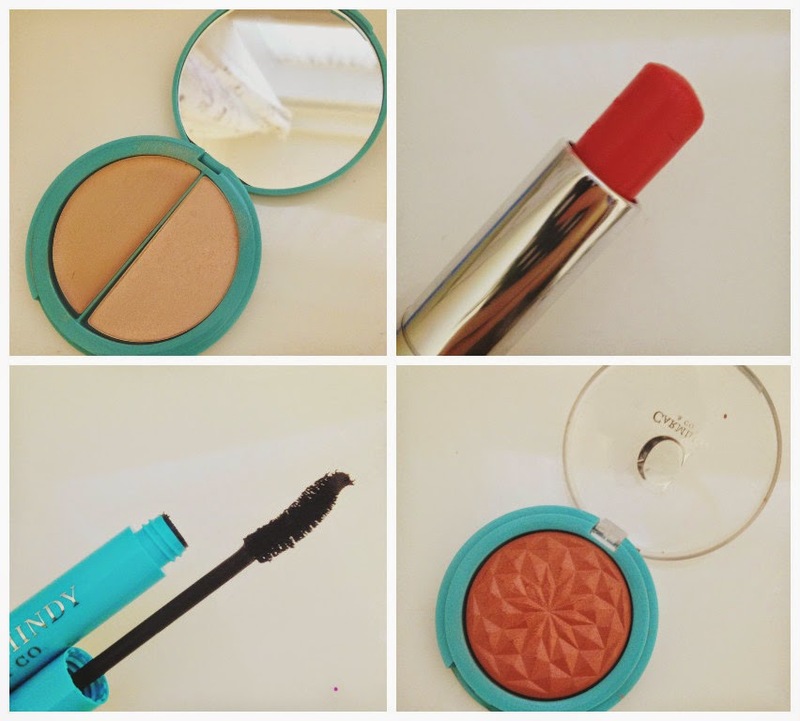 Having said that, it is always worth just investing in a few products to try out, and once you have found your favourite brand of makeup, then you should continue repurchasing with that brand! I personally, believe Carmindy&CO. is perfect for some of you girls out there! It's well worth the money, and the product seems to last ages. You can see the 5-Minute Face Kit here. The kit itself is perfect for travelling to work with, school with, college with or any place you need to take it with you! Thats why I love it so much. I am always travelling around South East England regularly so it's great to be able to pop it into my bag and go! "Mornings are crazy. Sometimes you barely have time to shower let alone do your makeup! Stop my beauties and take a deep breath. Now take just five minutes every morning for yourself. These universal products are designed to define and illuminate your true beauty in just five easy minutes. My "5-Minute Face" is an easy and effective technique that works on all women, all ages, all skin types and all skin tones. Think you can set aside five minutes to discover the best possible you? Trust me. It's worth it. " - Carmindy&Co. I personally really do agree with the above statement. It really is easy and effective and you have all you need in one kit. The kit isn't just for a basic morning, makeup look though either. Add some dark eyeshadows and false lashes for a "going-out" look, and jazz it up with other products if you feel you need. I feel like the Carmindy&Co. kit is the perfect foundation for your growing makeup collection! Here I have photographed the items so you can have a clear view on what they look like. CARMINDIZING HIGHLIGHTER : What I like so much about the highlighter is that it is completely different from any other highlighters I have seen before. It comes with both a Cream and a Powder. Usually, I see highlighters sold as one or the other. It's one of the best I have ever used! What I do, is use my fingers to apply the cream on my upper cheekbones for a shiny glow, and then set the cream with the powder. It lasts hours and thats something that I really need! KISS ME LIP BUTTER : I am honestly the biggest lipstick freak you would ever meet. I have so many in so many shades, I literally wear them everyday and collect them so this lipstick had a lot to live up to. When you initially see the colour you think it's a hot, fiery pink, but it really isn't. They've named it "Rose Passion" because that is exactly what it is. When applied to your lips, it comes out as a lovely, healthy soft pink. Which i LOVE. It really gives you that "English Rose" look, and being english myself, I absolutely loved the colour. It is also like a lip butter so its easy and creamy to apply. ELEVATE MASCARA : Personally I really find it difficult to find a mascara that is perfect for me. No clumps, dries quickly, but then isn't TOO dry. It's very hard to find the perfect mascara that I can get along with. The elevate Mascara is good, it gives you the big, bold lashes without clumps and looking too "fake". LOVE STRUCK BLUSHER : This was my favourite piece in the kit! OH MY GOOOODDDD it was amazing. So pigmented and really blended well when I blended my highlighter, bronzer and blusher to my face. It had a touch of shine which really gave my face a healthy glow, but it wasn't too much. I would honestly recommend this blusher to everyone, the packaging and design is SO cute aswell - what is there not to love? EXPRESSO LINER : This kit is intended for a natural, healthy look so the liner is a deep brown colour, instead of black. It was easy to apply and drew on really well. It's easy to use and pigmented. 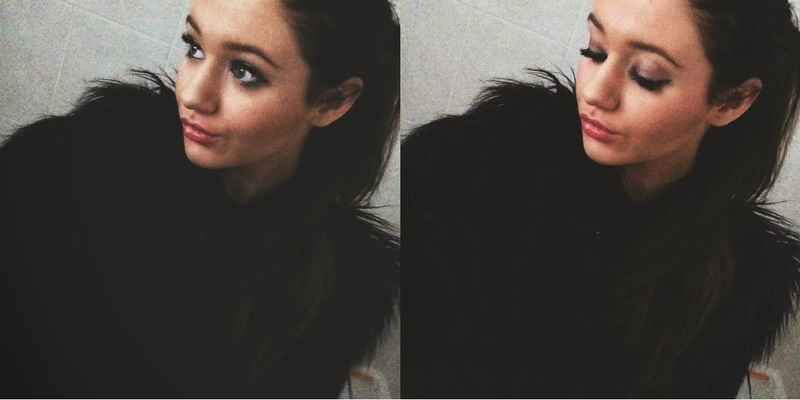 It's perfect for a look with a natural brown smokey eye as it would really blend well with that colour. A must have I say! If you're interested in Carmindy&CO. and want to look at more of their products, you can access their website here. Also, follow them on Instagram and Twitter for the latest updates and offers, @carmindybeauty.